When you click into a forum and then topic, then on the breadcrumb click on the subtopic to go back one position, the home icon disappears. How can I can the home icon stay? Otherwise users (especially on mobile view) have to go through the menu to get back to the home page of the forum. It doesn't disappear. It's changed to home icon. 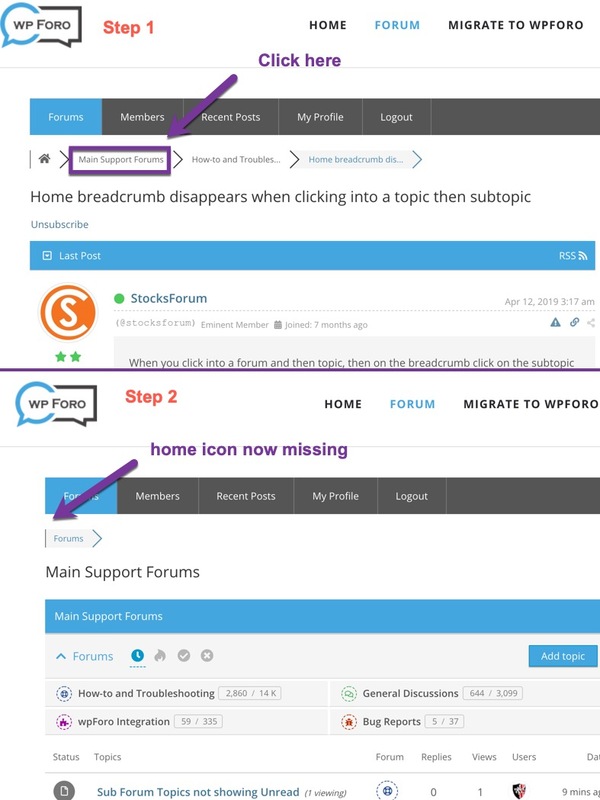 Click on 'Main support forums' in the breadcrumb and you will see the home icon dissapears. It's made by design. On home page there is no mean to show home page icon with link to home page. So it becomes a simple world "Forums" with no link. But it's not the homepage. 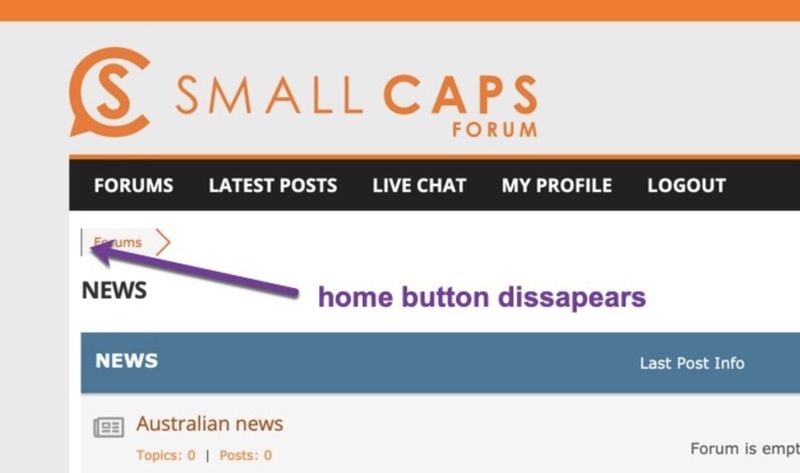 Click on it and you will see that 'Main support forums' is not the home page. 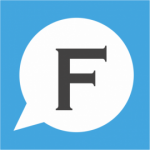 If a user is on a mobile device how can they get to the homepage of the forum when in 'Main support forums'? The home button logically needs to be there. Please follow to that topic. Yep that looks like it's it. Will be super handy to have, especially when navigating the forum in mobile view.